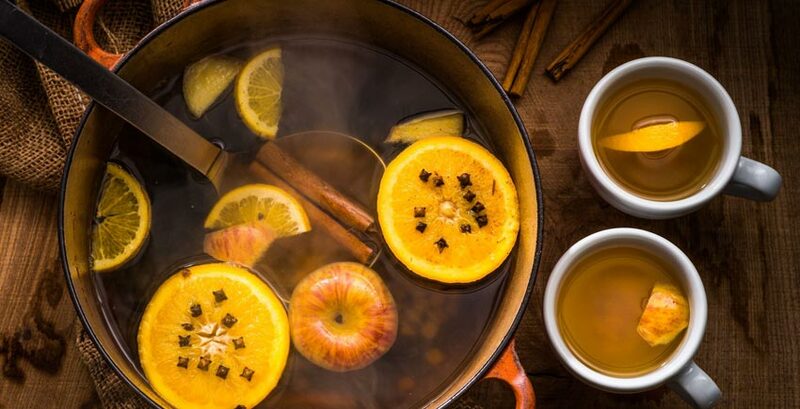 Pour apple cider in a crock pot or large soup pan and begin to heat on LOW. Add 1/8 tsp ground nutmeg and cinnamon sticks. Use a toothpick to punch holes in the orange to make a design to your liking (straight lines are just fine). Place whole cloves in the holes you made in the orange. Slice the orange and place slices in the cider. Heat on LOW until warm (apx. 1 hour). DO NOT BOIL, as it will make the cider bitter. This can remain in the crock pot or on your stove all day if kept low. Add Rum as desired or needed! The orange keeps the cloves out of people’s drinks. If you don’t have an orange, put the cloves in a tea infuser.